Day 31 of 31dbbb is plan the next steps for your blog. What Is International Fake Journal Month? Basically it’s a free pass to put anything in a journal that you might not otherwise put in. At least that’s one way to see it. From April first to April 30, you are encouraged to keep a fake journal different from, or outside of your regular visual journal. Maybe you want to live somewhere else? Well make a daily journal as if you are already there. It may mean that you’ll need to draw from your imagination a lot because things won’t be in front of you, but there are ways around that. Go to an antiques store or thrift shop and draw those items incorporated in a new reality. Or draw them as your daily drawing activity and make up stories about them. Perhaps you are always working in pencil. Now is the time to become that artist who always works in pen, just go for it. Or if you are always image heavy in your journal, spend some time writing, pages and pages. Why? because it’s fun, that’s why. And how often in life to you get a free, no guilt, no shame, just go for it pass on making things up (after the age of 3 of course)? Day 30 - 31dbbb encourages participants to monitor their blog stats. I do that through Blogger and Google Analytics. What I find of most interest are those who have visited me from other countries. I'm gaining ground in China - helllooo newbie readers! This 31dbbb prompt directs the blogger to view "what questions are being asked" when readers type queries into search engines. I know some bloggers have made entire, quite hilarious, posts about just that. I had wondered why my Top 10 movies post was number one and now I know, there are 3,500 impressions where searchers hit on the key word "movie." The next search term, and this one makes me smile, is "fluffy bunnies." 900 impressions. I may have mentioned it once. Do I have fluffy bunnies in my blog. Nope. But it must be somewhere ... in there ... the bunnies, that is. Some of the odder search queries, I can account for some of them .... funky watusi, set phasers to fun, Sunday School projects and no country for old ninja. I think the morale to the story here is be creative in your post titles. What humorous search queries have been entered for your blog? The Traveling Yellow Skirt was modeled by Ariane of http://stylesud-est.blogspot.com/2013/07/the-travelling-yellow-skirt-went-to.html. She lit of those Cuban beaches with her gloriousness! The skirt then travels on to Tamera of Menopausel Supermodel. Day 29 of the 31dbbb is develop a plan to boost your blog's profile and readership. Last summer, I blog hopped. I hippity-hopped nearly every day. I would peruse other blogs for badges or promoting the next hop and I would link in. I would comment extensively on the other hoppers blogs. My readership grew by leaps and bounds. My plan for the remainder of the year is to keep an eye out for photography and writing challenges. I will continue to link in to interesting blog hops. I will try to post more often on the forum boards. Day 28, hip hip hooray, we've hit on a fun task - write a review post for the 31dbbb challenge. Everyone is a critic, you know, and who doesn't love movies? Mr. VZ and I went to see The Lone Ranger - the newest version. We had high hopes for this movie, but it failed on many levels. I should have known it being a Bruckheimer movie, there would be the gratuitious explosions and slow-mo bodies sailing through the air. I had hoped Johnny Depp could salvage the story line. Even Johnny added insult to injury - his smirking crazy version of Tonto was sad. The worst revelation was the Lone Ranger and Tonto became bank robbers. What? They were always the GOOD guys, not the bad guys. I'd give it two out of five stars. Day 27 - Delete dead links or my thought, "leave those dust bunnies alone." Day 27 of the challenge pushes to go on the dead link hunt. I think I may have done that once. It seemed tedious, like cleaning out your spam folder, or deleting old emails. I know, supposed to improve SEO optimization blah blah blah. I'll leave those dust bunnies under my refrigerator, thank you very much. Not pictured are the Barbie doll that joined the family and a bath and body wash gift set. I know I've posted more words than pictures lately. I will soon be back to my old self. I broke my camera when it fell off a ledge where I had propped it. A new one is ordered and is on its way. Day 26 - encourages participants to improve another blog. 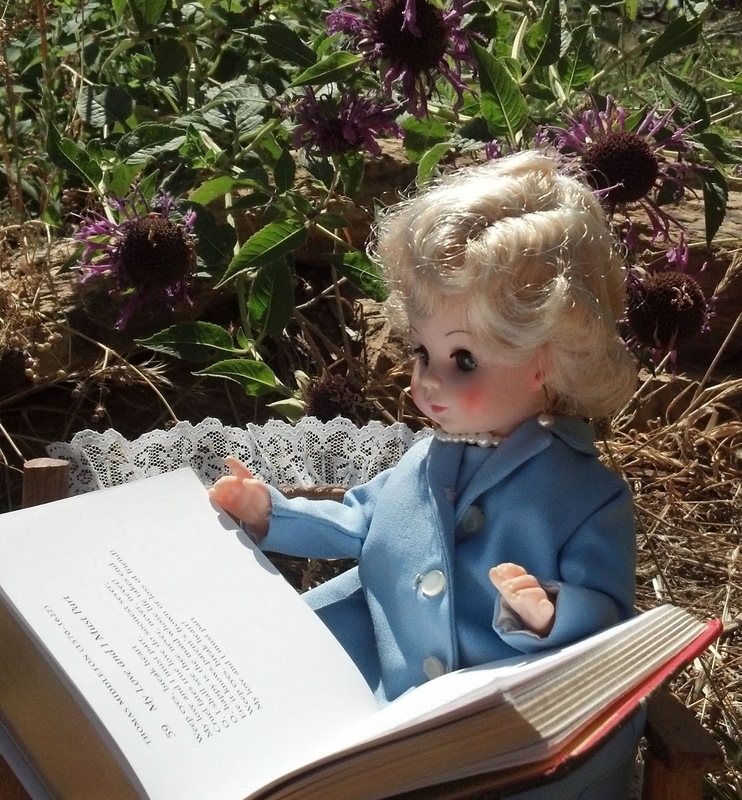 I have chosen Marcy at (Don't be) Too Timid and Squeamish, one of the participants in this challenge to highlight. One advantage of linking in with diverse blog challenges is the delight in meeting new authors. I also think it is good to be generous in linking back to another blogger, what will it hurt? Marcy caught my eye with her The-incredibly-shrinking-tick post. Seems her little boy made a pet of the thing that had been pulled off of him. She also wrote about battling her own "tics." I am blogging about a series of challenges I give to myself, so that I don’t remain, in the words of Ralph Waldo Emerson, “too timid and squeamish.” Some of the challenges will not strike others as something to be timid or squeamish about. Those are the ones where I need to give myself a little push to get out of the house or make a change that is healthier. I value collecting experiences over collecting things (well, iPads do seem pretty cool), and on the surface it may appear that I am not too timid and squeamish. I love to travel and have had some amazing experiences. She encourages her readers to send her postcards if they have traveled to exotic locales (and drink up that snake whiskey, for gawd sakes!). Day 25 of 31dbbb prompts to ask a question. Sometimes it is nice to end up a post that way, but I have few readers that actually respond. I am instructed to ask a question that is answerable. Everyone can hop on board with this question - What are your Top Ten Must Reads? Here are my Top Ten (in the order that occurs to me at this particular moment), some well known, others, not so much. Book No. 1: I began my horror genre reading list with a heavyweight The Exorcist. Little did I know what I was in for, I was maybe 12 years old at the time I read it. The book was absolutely horrifying. When the movie came out, I wasn't nearly as terrified as others, *sheesh* I'd already had that dollop of crazy. Book No. 2: I am a HUGE John Irving fan and have read nearly all of his books. A recent offering, Last Night in Twisted River, is a good one. Book No. 3: Yes, I did go through my horror genre phase. Stephen King's The Stand (all versions) is one of my enduring favorites. Book No. 4: I would also recommend Taylor Caldwell's Captains and Kings. While she does have an older writing style, she is an author that is rarely recognized in the "best-of's." Book No. 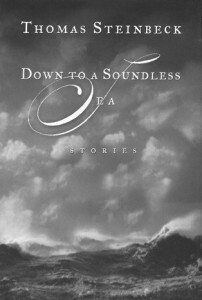 5: A fiction writer's debut Down to a Soundless Sea by Thomas Steinbeck, son of John Steinbeck. This book is keeper for me, a collection of short stories all set in the Monterey Bay area of California. Book No. 6: In the Christian book genre, a standout is C.S. Lewis' The Screwtape Letters. Book No. 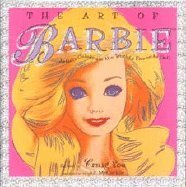 7: Not so much a must read but a must-see for Barbie and art lovers, The Art of Barbie, Artists Celebrate the World's Favorite Doll. Artists such as Andy Warhol, Karl Lagerfeld and Anna Sui interpret Barbie and her unique style. Book No. 8: In the business realm, Dale Carnegie's How to Win Friends and Influence People. Book No. 9: Another book, along those same line of business/making money, The Millionaire Next Door, by Thomas J. Stanley. This book will blast your preconceived notions about millionaires right out of the water! Book No. 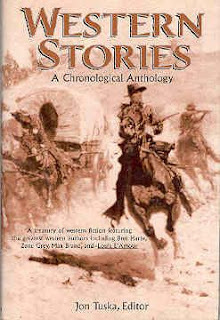 10: Kind of a "dark horse," Western Stories, A Chronological Anthology, Jon Tuska, Editor. While I have never been much for the western-themed storyline, the Mr. loves westerns and this anthology is a surprisingly delightful read of short stories. Do share - what are your Top Ten? Day 24 - How to Use a Magazine to Improve Your Blog, or my thought, "Whatchoo talkin bout Willis?" Digging up the old mags for inspiration. Why old media? Marketing, babee, marketing. I recently took a marketing class. I was thinking - what fun! After taking the course, I now think - fun? Not so much. I do enjoy print layout and content writing (to an extent). When blogging starts to get tedious, it is time to quit. Bloggers that have gone viral intrigue me. I know how much effort it takes to keep just one blog up and running. I can't image juggling two or more blogs, as I know some do. As with any creative process, it takes chutzpah to post to an online audience. What, in blogland, provides inspiration to you? Day 23 - Call your readers to action (or inaction, as the case may be). Day 23 incites the challenge participants to call their readers to action! I think the more interesting thing would be to highlight INACTION. Day 22 - Pay special attention to a reader, otherwise known as Give Me My 15 Minutes of Fame! Day 22 instructs to pay special attention to a reader, in other words, promote a comment to a post, or write a post about a reader's blog, or choose a reader of the week. This seems a bit like Day 15's prompt to "Find A Blog Buddy." Day 21 - the challenge here is to breathe life into an old post (aka regurgitation). The instructions are to write a new post (this one) and link back to the old post gotta-love-old-Las-Vegas that extends of updates the ideas in the previous post. I am shamelessly linking back to my rescued image posts. This one deserves a second look. Post update - for some reason this is one my most viewed posts and for the life of me, I can't image why. It was one of those off the cuff, write it quick ones. One aspect of blogging that I enjoy is wondering which posts will be popular. It is usually not the ones that you think. You never know what will resonate with your audience. 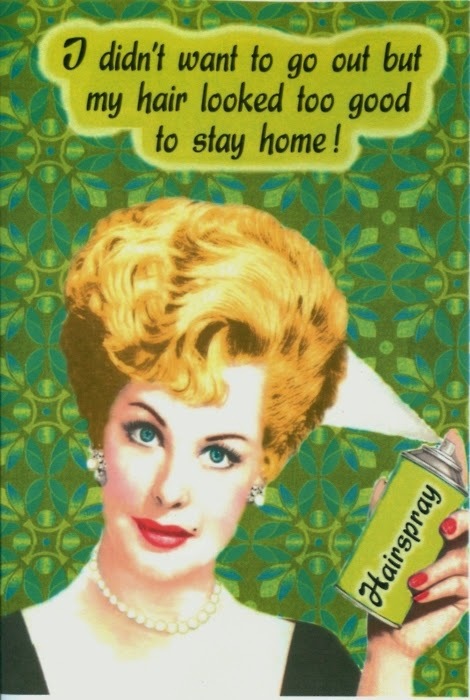 And because this post is always in my Popular Posts sidebar, I'm adding an image just for kicks and giggles. Day 20 - leave comments on other blogs, the 31dbbb topic du jour. This is a no-brainer for me - I always leave a comment. 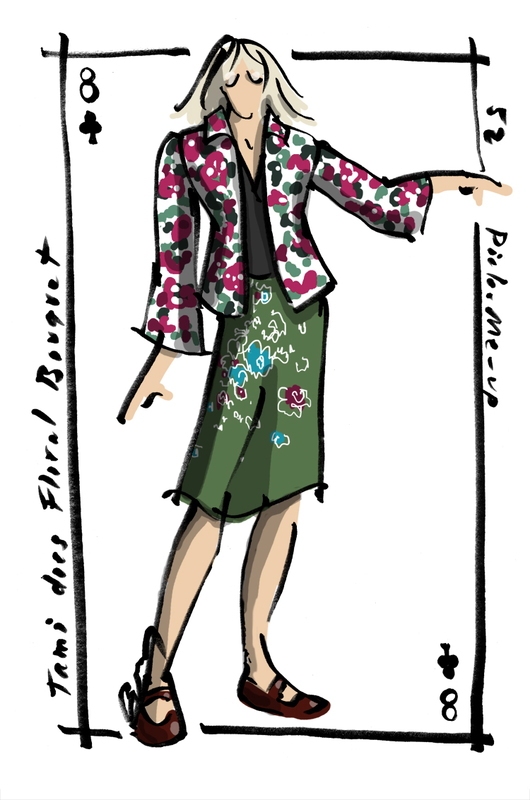 If a blog has a cool design, or if the post is thought-provoking, or if the fashion ensemble particularly fetching, I'm there! I add the hyperlink to my blog, esp. if I am a first time visitor. If it is a group that I comment regularly, I leave off the hyperlink - they know where to find me! Day 19 - Write an opinion post - I've tackled "Ageism." Day 19 - Write an opinion post. Well, Katy - bar the door! I have always been opinionated. I was insufferable as a child, add in ADD and impulsivity, gems of unwanted advice were a dime a dozen from me. Now that I have your attention. I can finally post on something near and dear to my heart - Ageism. Yessiree Bob, there is ageism in America. Rather than value the older worker, it is the quite opposite. The sad part is it all comes down to medical insurance. The older worker costs more to an employer in terms of the cost of a medical insurance premium. You don't see the effects of ageism when you are young - because it isn't happening to you! Granted you don't have the energy when you are older but the years of life experience are invaluable. Problem solving is easier because of the font of knowledge you can draw from. Office politics is less troublesome to the older worker because you just don't care to participate in it. Who cares if Suzy Q looks bleary-eyed and is chronically late? Not my problem. It could be she is trying to raise three kids on her own. So what if I am not promoted, who needs the headache? More job responsibility = more accountability which ultimately means you are the one that gets chewed out if something goes wrong. There are so many technical trades that are going to be in a world of hurt because the institutional knowledge has not been passed down. You know, everything can't be outsourced. Time to hire that older worker! BlogHer is hosting a vlog festival, this is my entry under the "About Me" category. Day 18 - creating the sneeze page for your blog. I'm guessing the "sneeze" factor is if you blink, then you will retain a snapshot of the image or text you just saw. The prompt directs to show off your archived posts or best of. I'm not sure how this differs from interlinking an old blog post - challenge participants, any ideas? Day 17 - seems today's task is to bribe one's friend or family to read your blog and then OBSERVE. Poor things, if I have to bribe them, it hardly seems worth the effort. I know I am apt to make snap decisions when I land on a blog I haven't visited before. I'll scroll down a few posts and if I am not impressed, I move on. The two top things I look for in a blog that will keep me engaged - enthusiasm (for whatever the topic) and an element of humor. 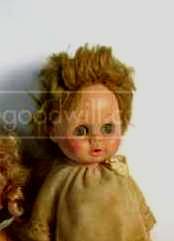 I haven't showcased a shopgoodwill.com inmate for awhile - always keeping an eye out for those that qualify for baby doll mugshots. Finally, this kiddo showed up on the site. She has all of the qualifications for a mugshot - messed-up hair and an image that makes me laugh right out of the starting gate! It is no secret that I have a passion for fashion. 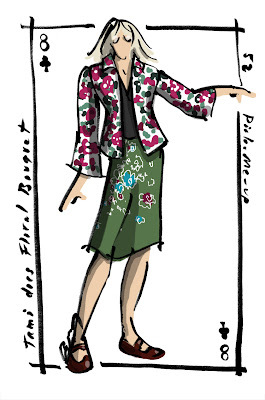 I was the winner, winner, chicken dinner of Anne Bray aka Spy Girl's weekly 52 pick-me-up http://spygirl-amb.blogspot.com/2013/07/digital-catwalk-tami-does-florals.html artist's rendering. Day 16 - building a better blog challenge, I am tasked with solving a problem. While I wouldn't consider myself the go-to gal for problem solving, I do know my way around social media. I am on Facebook, Twitter and Pinterest with my blog feed running automatically through the first two sites. I pinned last month's photography challenge images but found Pinterest to be balky and frustrating. I consider myself fairly proficient on working with images and backgrounds. Any you'alls have a problem? Just shoot me an email! Day 15 - Find a blog buddy. I discovered this tenent early on with my blog. Actually, I had a starter blog, a very obscure starter blog (in other words, I had no readers). I knew I had to find at least one thing that appealed to a niche group, thus Thrift Shop Commando was born. I began by highlighting my thrift shop finds. As I stumbled onto other blogs, I found a group that shop secondhand and then model their ensembles in fashion posts. I knew I had found my kindred spirits. 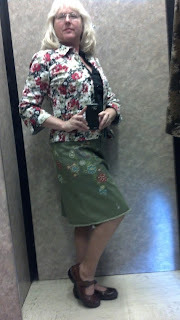 It is so much fun being part of the modeling/blogging/thrifting community. I routinely link back to that group and am still discovering others that make me smile. Have you found your blogging buddies yet? Day 14 - updating the old blogeroo. I change my blog background about twice a year. Recently, I tightened up the blurbs on what my blog is about, or at least attempted to. I think it is kind of difficult to describe exactly what I do in all of my glory. I've got my Moi page (aka About Me) down to a T.
Are you all updated and happy with your blog? Mad Tea Party and a Barbie Fashion Show! 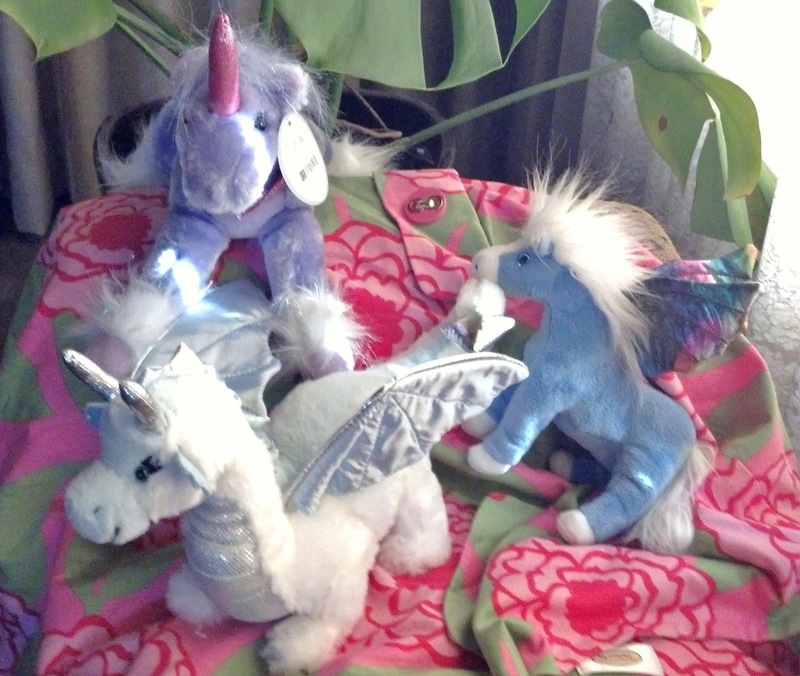 Invitees this year are the Muffies: Fortune Teller Muffy Vanderbear and Mardi Gras Muffy Vanderbear. The Muffies and Maddies came wandering by, what did they spy? A Mad Tea Party, of course, hosted by Vanessa of a Fanciful Twist. There was glam and glitz, joy and spritz (cookies, that is). It is, you know, the party of the year! Granny Madame Alexander was the featured poetry reader. And a Barbie fashion show! Bikini Barbie led off with the latest in swimwear. 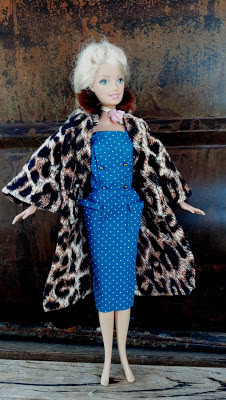 New Barbie styled vintage wear (Barbie clothes made by mom, circa 1960s). Scuba diving Barbie showed off her tan and athletic wear. Fashionista Barbie glammed in evening wear. Please leave a comment and "thank you" for stopping by! Here is the link to the other participants A Fanciful Twist. Link to my 2012 irreverent post on the Mad-Tea-Party. Yeah Write's 31dbbb has been pre-empted for this day's post. The challenge instructs the blogger to "Take a trip to the mall," I just took a detour to visit my Mad Tea Party friends! Day 12 - developing an editorial calendar for my blog just chafes on me. I prefer to think of my blog as a place to exercise my creativity and free-flowing ideas. I'm not selling or promoting anything. I really do not want to commit myself to structure. I also never apologize for NOT posting. If I post, I post - if I don't, I don't. I can bet 9 times out of 10, the bloggers audience has not even noticed if a blogger hasn't been posting. My readers can pretty much bet I will be posting something every day. Since I don't write lengthy dissertations, it is pretty easy on the eyes. Blog buddies - ya gonna post that calendar or not? Day 11 - Come up with 10 post ideas - I've listed hops and challenges. No. 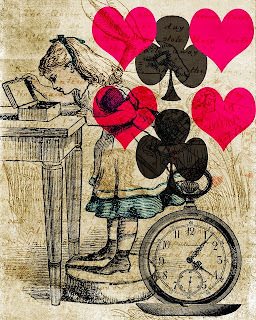 1: The upcoming Mad Tea Party post with Vanessa at A Fanciful Twist on July 13th. No. 2: Le Mysterieux Carnival. This group is quiescent all year long with the exception of October or All Hallows Eve. Those two sites require some creative photography and highlight some truly inspired bloggers. I also keep an eye out for blog hops, in particular hops that I have not participated in before. If you just hop around with the same group of people, you will never encounter new blogs and potential new readers. No. 3: I'll be joining a no-rules blog hop monday-mingle with Tough Cookie Mommy. No. 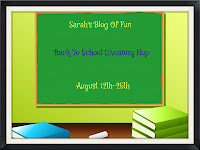 4: I glommed onto sarahsblogoffun.com - this gal has THREE blog hops coming up. 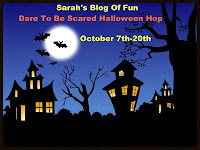 One this month for the new and timid blog hopper. The idea is that you enjoy your city (or suburb or town), take pictures, and then share them with your bloggy friends and family. If your “Sunday” happens on a Friday, that’s fine, just post the pictures on Sunday. If you live in a suburb instead of a city, I don’t care; I still want to see it. If it’s raining and you’re stuck inside, take a picture of the view outside your home. You can even cheat and take pictures one Sunday and post them the next Sunday. No. 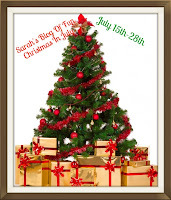 7: At the beginning of the year Vicki-2bagsfull will host the Grow Your Blog hop - tons of participants! No. 9: I am thinking Nicky and Mike, the duo behind We Work For Cheese, will be hosting some type of month-long writing or photography challenge (fingers crossed). No. 10: When all else fails, there is Pinterest. What I mean is that bloggers cross-post on Pinterest any challenges or events. It never hurts to look there for inspiration. As long as you don't get sucked into looking at all the pretty pictures (guilty as charged). Day 9 - Join a Forum and participate!